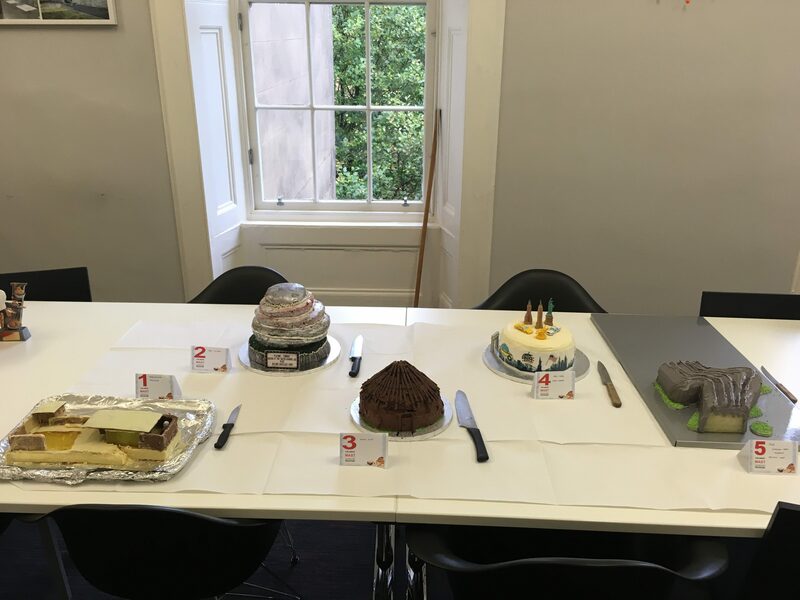 After 6 rounds of competition, our finalists have risen to the top in the MAST annual Bake Off. An Architectural Showstopper themed final saw contestants whisk it all in an effort to claim the much-coveted title of Bake Off Champion. The round saw entries covering a variety of buildings from all around the world such as The Barcelona Pavilion, New York Skyline and Mud Huts to famous Glasgow landmarks such as the SSE Hydro and the Transport Museum. To turn up the heat even higher, pastry chef Michaela Wright of 1 Balmoral, Edinburgh, was brought in to help judge the contest, offering her expert palate and eye for detail, giving out the prize of the Star Baker award to Aden Patterson for her Transport Museum cake.